The company also announced that all cars built from October 2016 onwards would have the requisite hardware for setting up Enhanced Autopilot, if and when the owners decide to install it on their vehicle. For those wondering what Enhanced Autopilot is, it's Tesla's newest autopilot feature that enables fully autonomous driving, as in the driver does not need to place hands on the steering wheel or prepare to take over when required. The new hardware includes eight surround cameras that offers 360-degree visibility up to 250-metre range. There are three forward-facing cameras, two forward-looking side cameras, two rearward-looking side cameras and a rear camera. All these cameras help in the decision making process by detecting objects, traffic lights, pedestrians and cars at intersections. In addition to this, there are 12 ultrasonic sensors that are capable of detecting hard and soft objects at close to twice the distance of the previous system. The advanced radar system operates at a wavelength that is able to permeate through fog, dust, snow, rain as well as cars. It helps the system keep a check on what's going on ahead and take evasive action in case an accident is about to occur. There's a new on-board computer that processes all the data from the cameras and sensors. 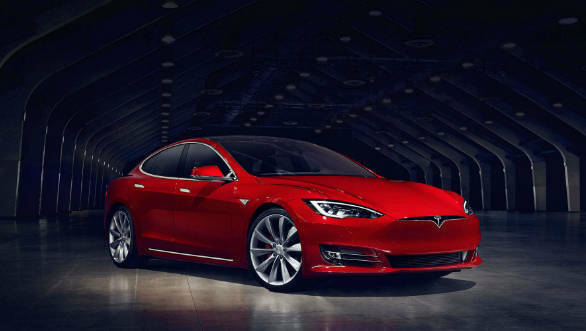 Tesla says it has 40 times the computing power of the previous-generation processor. 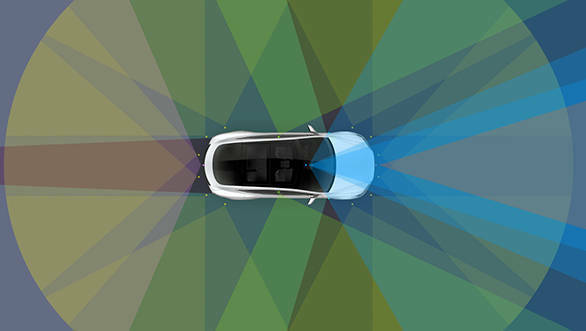 The computer runs Tesla's neural net for vision, sonar and radar processing software. These upgrades to the hardware and software have given all Tesla cars new capabilities. The cars can now match speeds to traffic conditions, stick to lanes, change lanes, and enter and exit expressways. All of this without any inputs. So what do the drivers do? Well, drivers have to tell the car where they intend to go to. In case the driver does not say anything, the car will scan the driver's calendar and take the driver to a place marked for that day, assuming that is the intended destination. In case there are no destinations marked, the car will take the driver home. The Tesla will figure the best route as well as manage busy intersections and heavy traffic all by itself. Upon reaching the destination, the occupants simply need to step out and the car will park itself. The owner can also summon the car from the garage or parking lot to the doorstep by a simple tap on the phone. Watch the video below and see the Enhanced Autopilot in action.